Light, the sovereign core of Moholy-Nagy's oeuvre. Moholy-Nagy (Hungary 1885 - VS 1946) is best known as a radical innovator of photography. He almost single-handedly put her on the way towards modernity. In 1923 he was appointed as a teacher at the Bauhaus in Weimar. 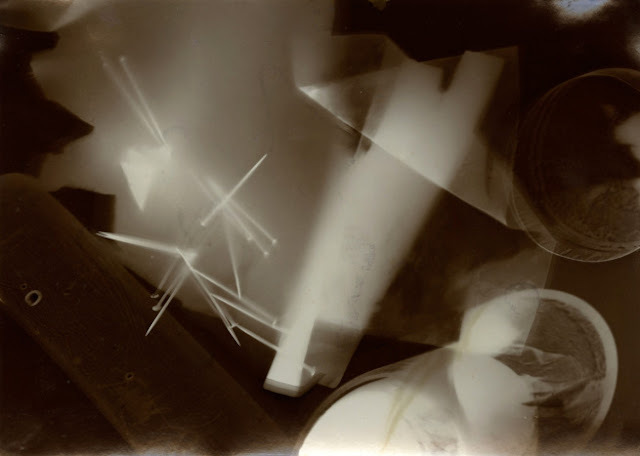 He experimented in the 1920’s with the photographic process of exposing light sensitive paper with objects overlain on top of it, called photogram. His theory of art and teaching is summed up in the book The New Vision, from Material to Architecture.